Blank page intentionally removed (i.e. after maps) so page number will appear to be higher. Briggs, P.C. 1969. Ground Water Conditions in the Ranegras Plain, Yuma County, Arizona: Arizona State Land Department, Phoenix, Water Resource Report 41, 28 pp. Ground Water Conditions in McMullen Valley, Maricopa, Yuma, and Yavapai Counties, Arizona. Describes the ground water conditions and water level trends in McMullen Valley. 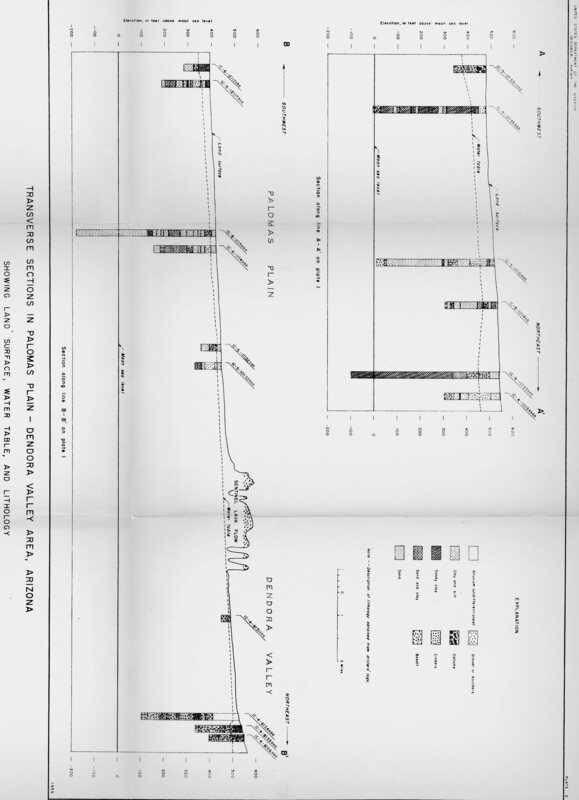 Maps, graphs, drillers' logs, chemical analyses. Briggs, P.C. 1969. Ground Water Conditions in McMullen Valley, Maricopa, Yuma, and Yavapai Counties, Arizona: Arizona State Land Department, Phoenix, Water Resource Report 40, 31 pp. Determine the location of large supplies of ground water, how much is being used, and the advisability of increasing the development of the ground water reservoir. Maps, hydrographs. 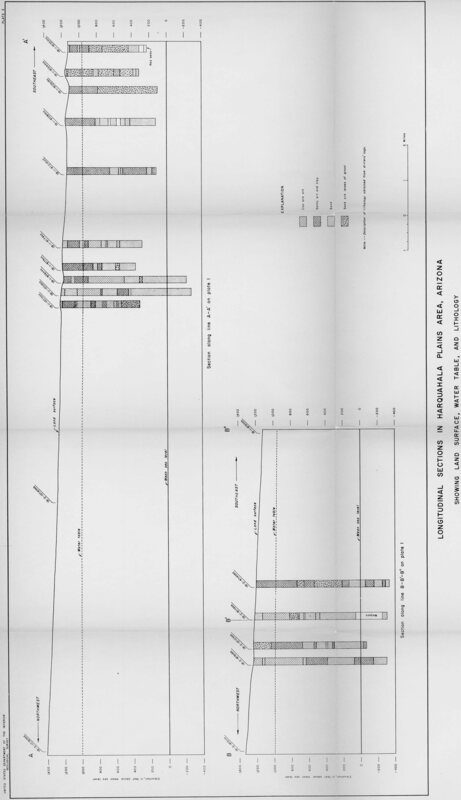 Tables of wells, drillers' logs, water levels, chemistry. Weist Jr., W.G. 1965. 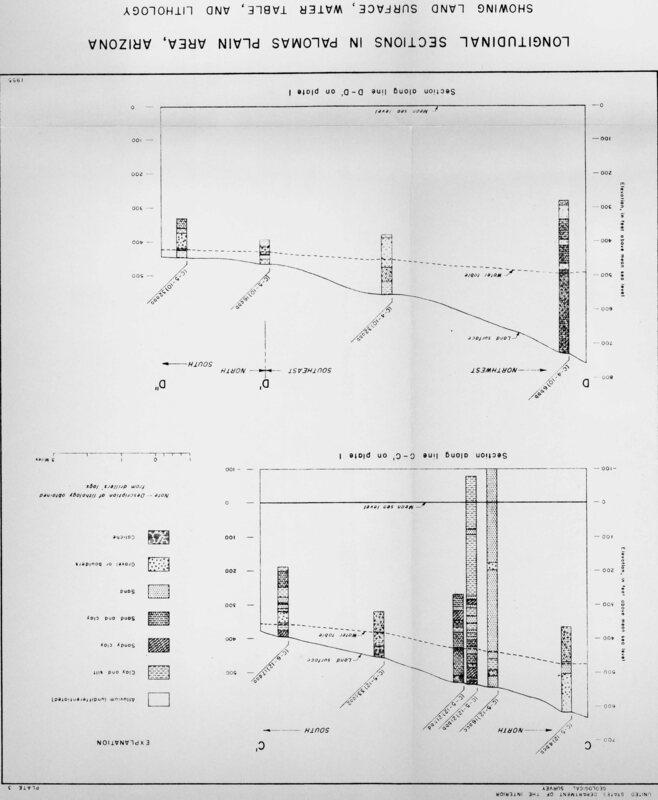 Geohydrology of the Dateland-Hyder Area, Maricopa and Yuma Counties, Arizona: Arizona State Land Department, Phoenix, Water Resource Report 23, 46 pp. Made to ascertain geologic and hydrologic conditions in the underdeveloped McMullen Valley and to determine the probable effects of ground water use. Data pertaining to lithologic characteristics of the waterbearing materials and origin, movement, quantity, availability, and quality of the ground water. Maps, graphs, photos. Kam, William. 1961. Geology and Ground Water Resources of the McMullen Valley, Maricopa, Yavapai, and Yuma Counties, Arizona: Arizona State Land Department, Phoenix, Water Resource Report 8, 72 pp. Determine the geologic and hydrologic characteristics of the area before the development of ground water reached an advanced stage. Hydrologic, geologic and geographic description of area. 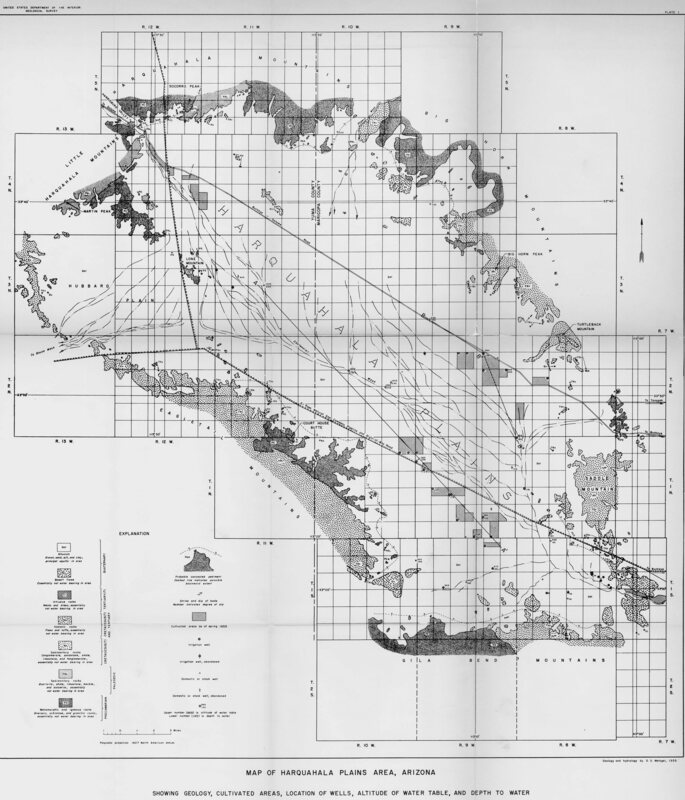 Maps, cross sections and tables. Armstrong, C.A and Yost Jr., C.B. 1958. Geology and Ground Water Resources of the Palomas Plain - Dendora Valley Area, Maricopa and Yuma Counties, Arizona: Arizona State Land Department, Phoenix, Water Resource Report 4, 49 pp. Study of ground water resources of the Harquahala Plains. Hydrologic, geographic and geologic summary. Qualitative report of general relationships and relative magnitudes between hydrologic parameters. Metzger, D.G. 1957. Geology and Ground Water Resources of the Harquahala Plains Area, Maricopa and Yuma Counties, Arizona: Arizona State Land Department, Phoenix, Water Resource Report 3, 39 pp.